There are dentists and then there are dentists. Like any profession, dentists come in different packages. Some are naturally more skillful and knowledgeable than others while there are also those that are gifted at smooth-talking their patients so they will feel at ease during the dental procedure. Many dentists spend many years perfecting not only their skills but also expanding the knowledge about oral and dental sciences so they can serve their patients a lot better. Unfortunately, not all dentists are like these. So how do you choose the best local dentist in town? One of the most critical things that separates true and dedicated dental professionals from the knock-offs is their certification. However, it must not be any certification nor any organization for that matter. It must come from the American Dental Association or any other professional organization that is recognized by the ADA. Just consider the ADA as the parent organization of all dental specialty organizations. All dentists must have earned their appropriate dental degrees as well as successfully pass the licensure examination for dentists in their respective states. There is one way to check this. Look at the wall of the clinic of your dentist. Many dentists would like to hang their accomplishments on their walls. For example they have just completed their training on cosmetic dentistry or even periodontology, they will be proud to display that on their clinic walls. Now, take time to look at who provided the training or certification. If it came from a third party organization, most likely a vendor, then there really is no guarantee that the training passed the standards of the ADA. If the certification however, has the seal of approval of the American Dental Association, then you can be sure that it is legit. Now, if there are no certificates on the wall, you can politely ask yourdentist if he has any. A true professional always updates his knowledge and skills so that he can provide better service to his patients. Not to dissuade you from choosing younger and new dentists but sometimes expertise comes with experience. While it may not be a deal-breaker, it does pay to learn how long your dental professional had been practicing his profession. Five years of continuous post-graduate experience should be an excellent start. Now, it does not mean that certificates and experience can easily translate into an overall pleasant dental experience. You also need to look at how well the dental professional is able to build trust and gain respect from the community. Ask your neighbors or your friends about their experiences with the dentist and try to understand whether he has an excellent reputation or not. You need a professional who knows how to engage with his patients and one who prioritizes the needs and feelings of his patients above all else. Hopefully these tips will help you choose a better dentist for your needs. Let’s assume that you already know that dental hygiene aims to keep your teeth in your mouth. That is just the start, though. Your mouth is the gateway to your body, what goes in your mouth will go through your body. So, let’s ask the question why dental hygiene is important. Dentistry can do a lot, but the health of your teeth is up to you. To keep bacteria under control – There’s a lot of bacteria inside your mouth. For the most part, this is harmless. The natural defences in your body combined with a fluoride toothpaste and flossing can stop the bacteria from doing anything bad. Gum disease – It’s easy to have gum disease and not know it. Signs of gum disease include bleeding when brushing or flossing, tender and sensitive areas, or redness and swelling. Gum disease can destroy your smile quickly or over time. Good dental hygiene will keep gum disease away. Pain – Oral or facial pain can be caused by bad dental hygiene. Dentistry has come a long way with treatment and surgeries, but isn’t it better to avoid needing either of these things? Pain in the mouth could be a sign of gum disease, issues with the jaw bone or an infection. Digestion issues – The mouth is where the digestion of food starts. Problems here can lead to problems in the intestines, irritable bowel syndrome or similar problems in the stomach area. Premature birth or low birth weight – You probably didn’t know this, but gum disease has been linked to problems with pregnancy. Premature births or low birth weights have been found in babies born to mothers with gum disease. As said above, dentistry can fix a lot of your dental issues. But, prevention is always better. Especially when prevention is so simple. Brush your teeth with a fluoride toothpaste. Don’t use an old toothbrush, when the bristles are a mess get a new one. Floss every day, at least once or after every meal. Eat healthy with vegetables, meat, fruit and avoid sugars and snacking too much. Visit your dentist regularly to be sure everything is fine. And avoid tobacco and alcohol. Many patients surely feel they have suffered enough from fibromyalgia, and want their dental treatment rendered as comfortably as possible. There are ways to increase the comfort of the fibromyalgia patient in the dental chair. Intravenous sedation can render the delivery of dental care as comfortable as possible for patients with fibromyalgia. Cosmetic dental care and all that modern dentistry has to offer, is more comfortably available now to fibromyalgia patients. Going to the dentist can be among the routine ventures that can pose a special difficulty for the fibromyalgia patient. Other patients have the sense that they have suffered enough from the fibromyalgia, and want their dental treatment rendered as comfortably as possible. Doctors, sometimes unfamiliar with the needs of fibromyalgia patients, may prescribe insufficient post-operative pain relievers. Antibiotics could be used before and during the procedure to control the bacteria, and deep-breathing or relaxation techniques could be used to help reduce your anxiety, and therefore flares. Analgesics could be used after the procedure, if necessary, to relieve pain. We know any type of stress– whether physical stress, such as an infection, or emotional stress, such as fear– can make fibromyalgia and perhaps RA worse, too. In the scenario you describe, I can think of at least three potential stressors that may contribute to your flares: the release of bacteria from the mouth into the bloodstream during cleaning, which stimulates the immune system just enough to increase the level of cytokines in the bloodstream and tissue; the discomfort associated with the procedure, and the anxiety caused by anticipating another flare. It would not be unreasonable to assume it might happen again once you know this has happened in the past. Do you have fibromyalgia? No matter what, you’ll experience difficulty some time or another. On the days when your fibromyalgia pain flares, everything you try to do can seem more difficult. One of the hardest things to accept may be that there is no cure for fibromyalgia. While lifestyle changes and medications can lessen the severity of your fibromyalgia pain or fatigue, you will continue to have bad days and good days. 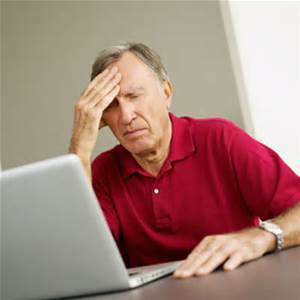 When fibromyalgia pain or fatigue is severe, you might not be thinking clearly. A flare of fibromyalgia symptoms can send you into a spiral of stress and despair if you aren’t prepared. Having a plan to follow gives you a sense of control over your signs and symptoms. Write down your options for coping and keep your list where you can find it when you feel a bad day coming. Some may work fine for you on one day but not on another. Studies have shown that what we say to ourselves inside our heads can affect our perception of pain. Turning negative thoughts into positive ones takes practice, but is worth the effort. 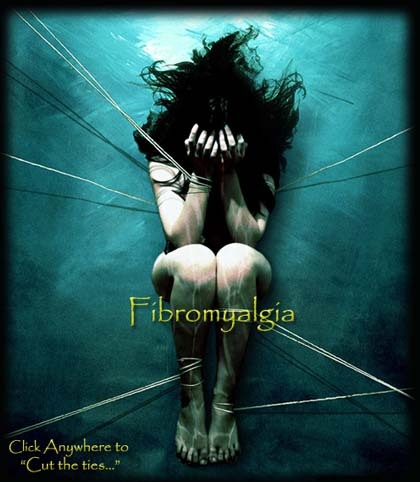 If you have fibromyalgia, difficult days are inevitable. Fibromyalgia pain tends to fluctuate. On the days when your fibromyalgia pain flares, everything you try to do can seem more difficult.